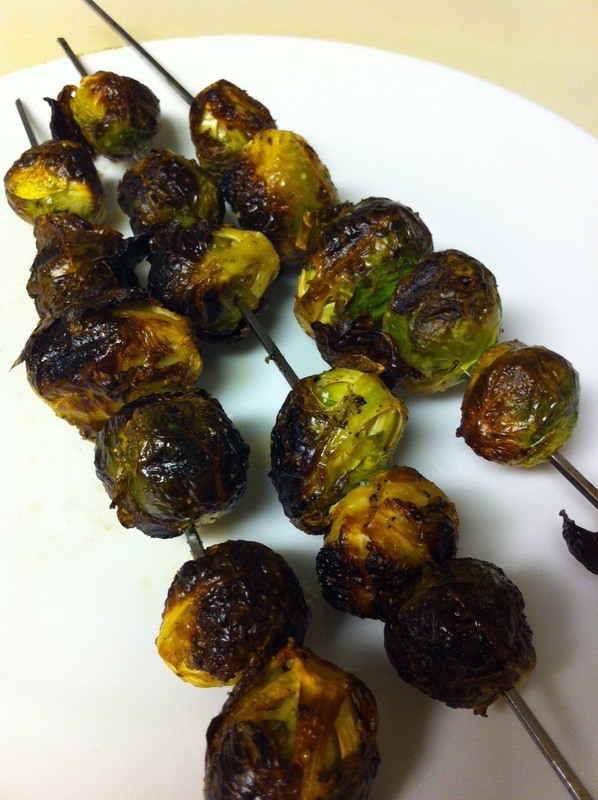 Wait...who the hell grills Brussels sprouts? Now, the anthropological psychologist would say that this was from a deeply rooted desire to stab things and cook them over fires, but we'll just stick to the story that I didn't feel like creating dirty dishes/pans; I had vegetables that were at risk of disintegrating in my refrigerator; and that I'm obsessed with grilling. They turned out pretty good for my first time. They were cooked through, not too mushy on the inside, and crispy on the outside. I want to try and experiment with different spices or flavors (I can only take so much straight Brussels sprouts taste). Perhaps with freshly shaved Parmesan cheese, coated with a Cajun seasoning, or marinated for a little bit.